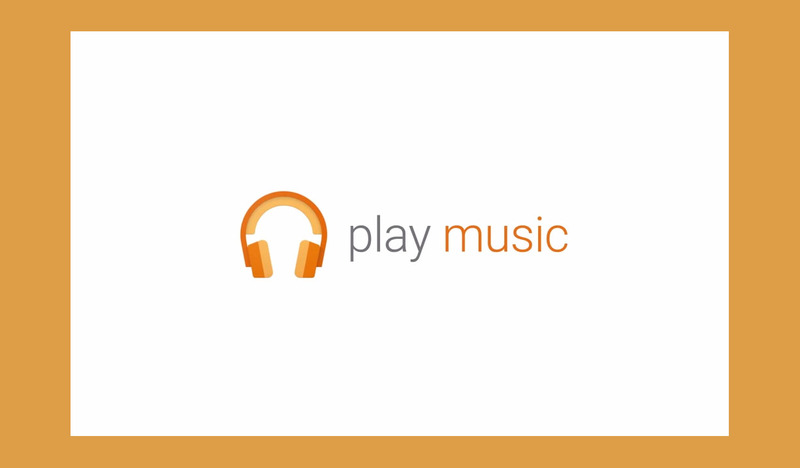 This morning, Google announced that Play Music would be receiving an update (v6.0.1942S) that introduced free, ad-supported radio for those who aren’t paying $10 a month for All Access. That update is rolling out now and we have the .apk should you want to update today. 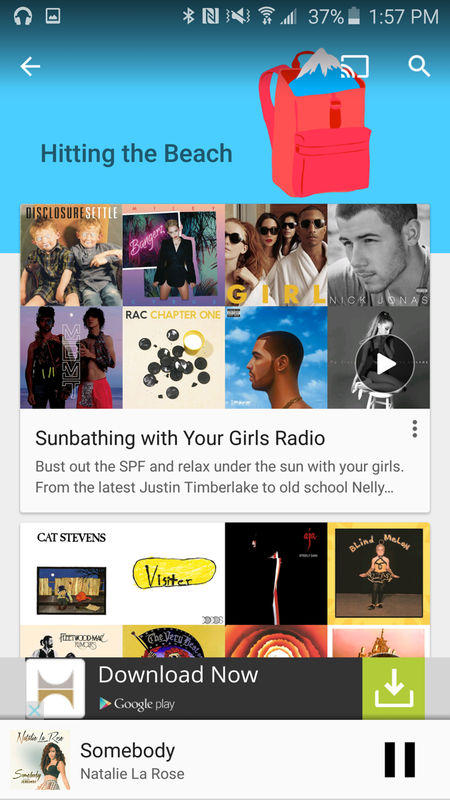 In the update, not only do you have the option to listen for free to curated playlists, but Google is also tweaking the layout of things a bit. 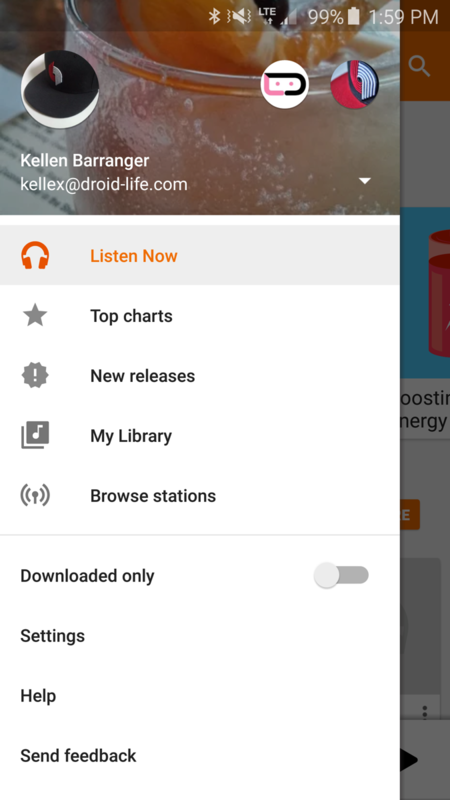 The biggest change you will see is in the slideout navigation drawer that includes options of Listen Now, Top Charts, New Releases, My Library, and Browse Stations. What’s different there? Well, Playlists has been moved under My Library, Radio sort of became Browse Stations, and Explore is broken out into two categories of Top Charts and New Releases. Browse Stations should probably just still be “Radio,” but who am I to decide such things? In that new section, though, you do get more of a “browsing” like experience. In the the former Radio section, you used to see your stations, along with recommendations, but that’s now all under My Library. Also, if you were wondering what the ad-support radio looks like, we have images below. 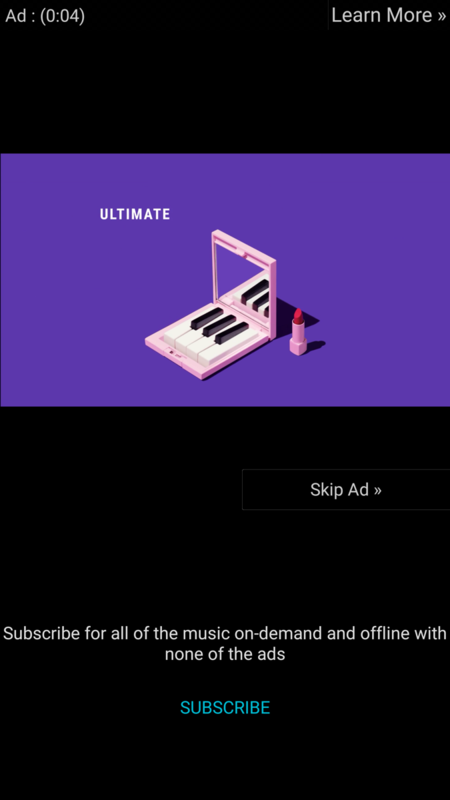 Not only will you get video ads before starting up some radio stations, but you will see ads in the app on radio pages. 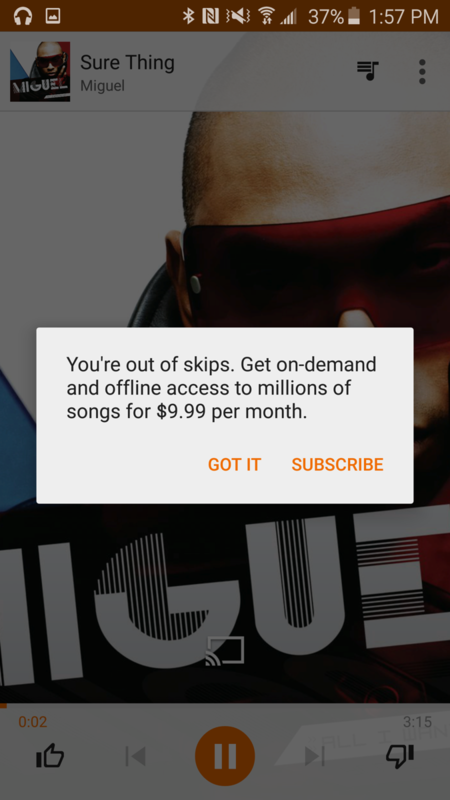 You also only get a limited number of skips in playlists, just like other free streaming services. 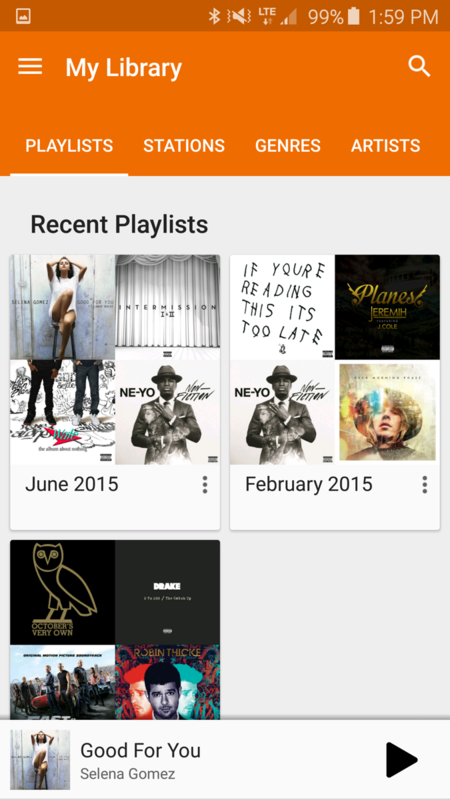 Update: Google also added more controls over what albums and playlists are sent to your Android Wear device.